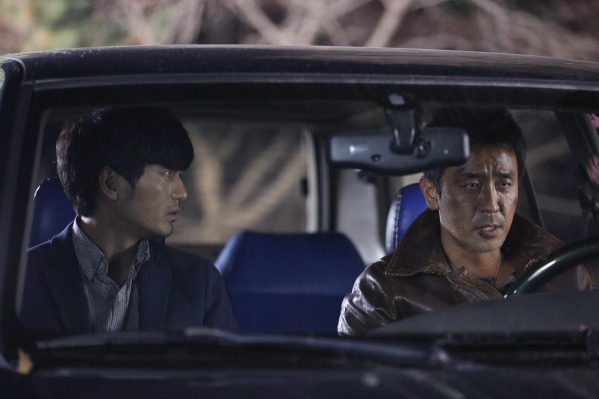 Korea revisits the French thriller. With Pyo Jeok (The Target), Chang has created a remake of Point Blank (A bout portant), Fred Cavayé's thriller released in 2010. Suspense and fast-paced action are guaranteed in this Festival's last midnight screening. Yeo-hoon is in for a bad surprise. When picking up a file in an office, he sees a body lying on the ground. The killers wound him and Yeo-hoon is taken to hospital. There a young male nurse looks after him. The next day the nurse's wife is kidnapped and the kidnappers demand that he hand over Yeo-hoon in exchange for his wife. The nurse and Yeo-hoon take flight and a chase ensues. Yeo-hoon equates to the character of Hugo Vertet, the crook in Point Blank. He becomes the main character in Pyo Jeok and is played by Ryu Seung-ryong, one of Korea's best-loved actors. From romantic comedies (All About My Wife) to westerns (Masquerade), he has played a wide range of roles and contributes to box-office successes in his country. For his role in Chang's film, the actor had to lose weight and train for five months. The director wanted a film with fast-paced rhythm. So he created it in the style of music videos, a exercise that he has accomplished numerous times for stars of K-pop.A thirty-six-hour-long chase is told in 101 minutes.The pace is fast, creating a certain musicality: Chang is not simply revisiting a French thriller, he is reinventing the Korean action film. Thursday 22nd May / Grand Théâtre Lumière / 12.30 a.m.